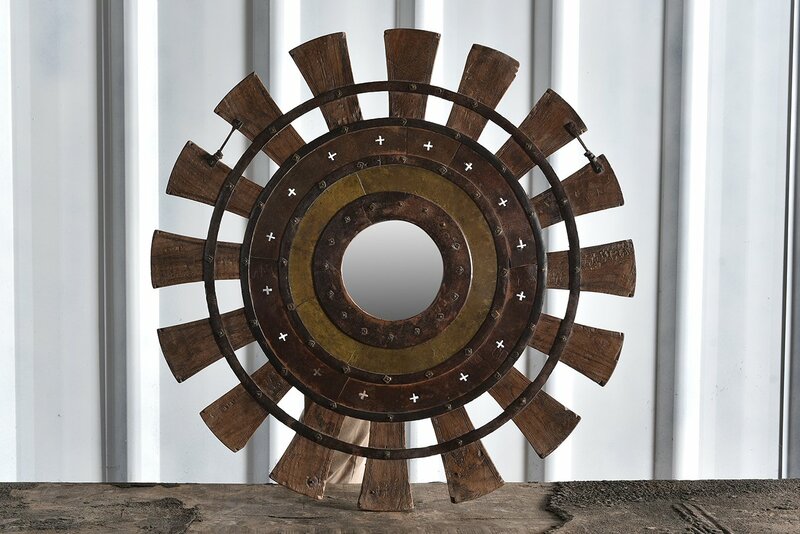 This rather eye-catching round mirror is actually made from an old wooden barrel, what a novel idea! With the barrel top removed, the wooden panels have been slowly stretched flat, resulting in a unique mirror that is sure to attract admiring glances! Our Hamesha range embodies the skilled craftsmanship of the artisans who have been intricately carving wood going back many centuries. This eastern inspired collection is designed to bring awe and intrigue to your home.